Al Fin Energy: How to Double the World's Supply of Diesel -- And Make It Better! How to Double the World's Supply of Diesel -- And Make It Better! Researchers at Annamalai University in India have discovered how to blend ethanol and dimethyl ether -- both potentially renewable chemicals -- with diesel to produce a significantly improved fuel. 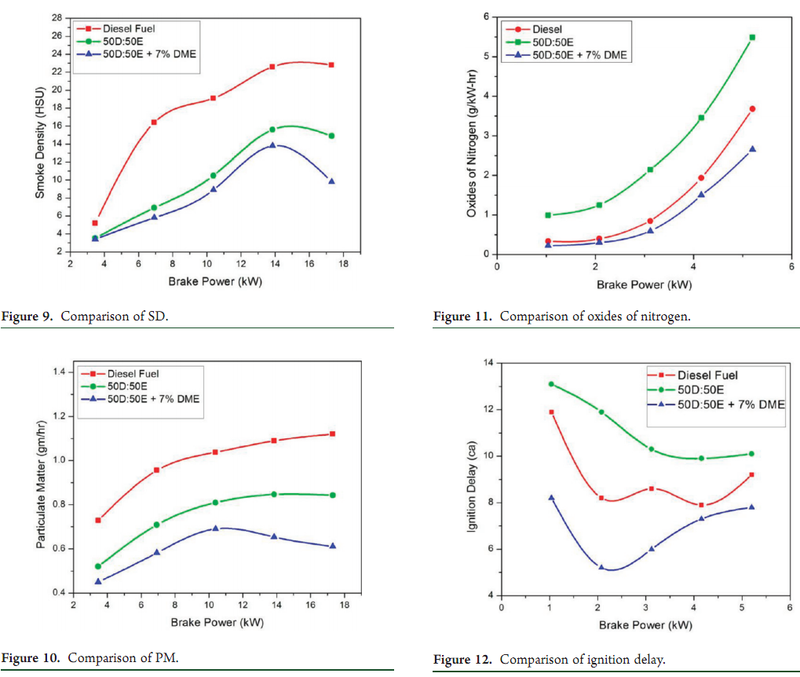 The graphic above shows the results of comparative testing with pure petro-diesel, a 50:50 emulsion of diesel and ethanol, and a mix of 93% 50:50 diesel:ethanol and 7% DME. The best results were obtained from the mixture containing 46.5% diesel. Widespread use of such a mixture could result in doubling the effective supplies of diesel. 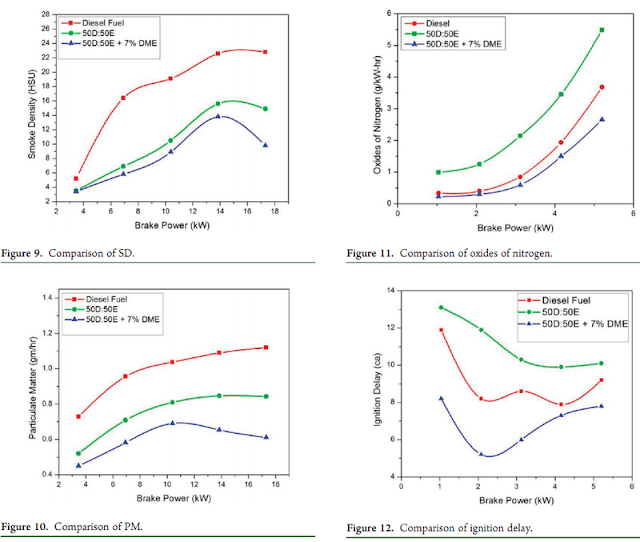 In a study published in the ACS journal Energy & Fuels, M. P. Ashok of Annamalai University, Tamil Nadu, India reports that adding dimethyl ether to an ethanol/diesel emulsion results in an increase in brake thermal efficiency and a decrease in specific fuel consumption (SFC), particulate matter, smoke density, and oxides of nitrogen compared to either the emulsion or a base diesel fuel. ...Ashok added DME on a 7% by volume basis with the selected emulsified fuel ratio of 50D/50E and carried out performance, emission, and combustion tests, along with performance and emission tests with diesel no. 2 and emulsified fuel 50D/50E. Engineers and scientists worldwide have barely begun to discover how to extend the supplies and effectiveness of the Earth's finite supplies of fossil fuels. As the price of oil edges upward by fits and starts, booms and busts, our facility for substituting additives and fuels for petroleum will only get better.